For Juniors age twelve through high school. Aside from their many sailing activities, this group also holds regular meetings and scheduled activities such as volleyball, cookouts and campouts at the lake, or pizza parties, skating & sleepovers in town. The Juniors also annually select a charity, which they support with collection from the Club church services they conduct for the adult members on Sundays from June through Labor Day. They have their own officers, as well as an adult advisor. 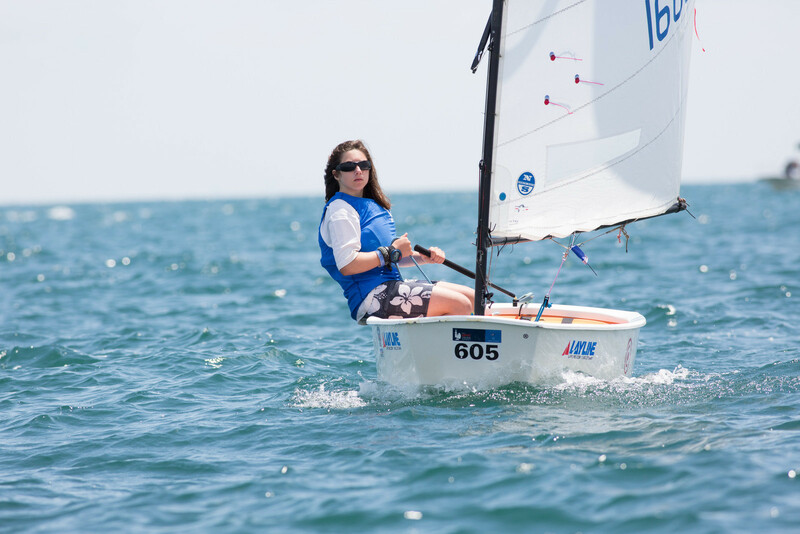 Junior Week is a one-week resident sailing camp for children of club members ages twelve through eighteen. 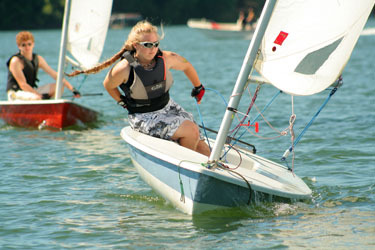 The camp focuses on sailing classes during the day but also includes fun evening activities. Junior Week is a great value because the camp is run by volunteers. To support this effort, parents of campers are required to volunteer at least one full day per camper (or the equivalent). Applicants must be at least 11 years old and not yet 19 before January 1. Registration is open to children of club members. Grandchildren of club members and other extended family members will be considered on a space available basis. For children age six through high school. Summer classes are offered at the following levels: Learn to Sail - two levels (starting at age six and up), Learn to Race (must have successfully completed Learn to Sail class), and Sailing a Double-handed boat. Children and relatives of Club members have first priority in classes, but as long as space permits, children of non-members are invited to apply. 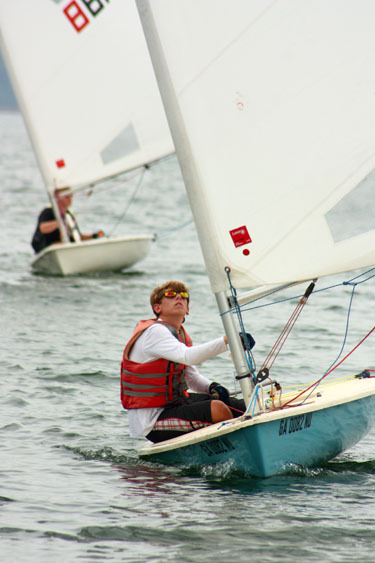 Click here to visit the Junior Sailing Training page to see course descriptions and registration links. Opti Racing Clinics occur twice a year. These clinics offer an opportunity for kids to learn and fine-tune their skills of one-design sailboat racing. 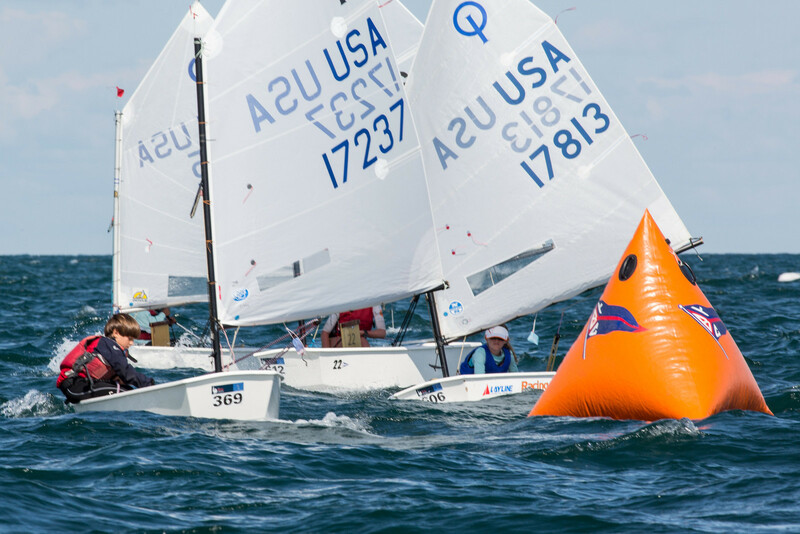 The Opti Season Pass is for Opti sailors whose parents are not members of the club but who want to compete in club races and place and take advantage of club rates for classes and clinics. 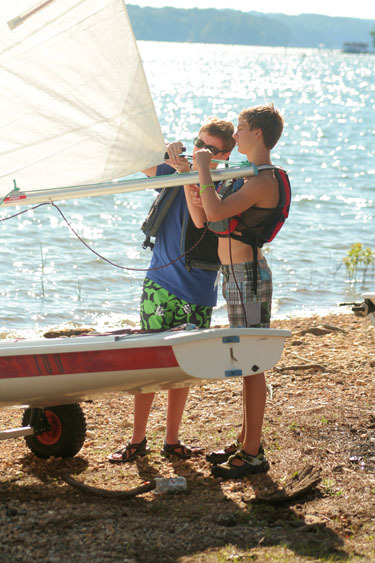 While this fleet is not strictly for Juniors, the Laser is a popular boat among teenagers because of the kids' size, athletic ability / agility and annoying habit of beating their parents in races. 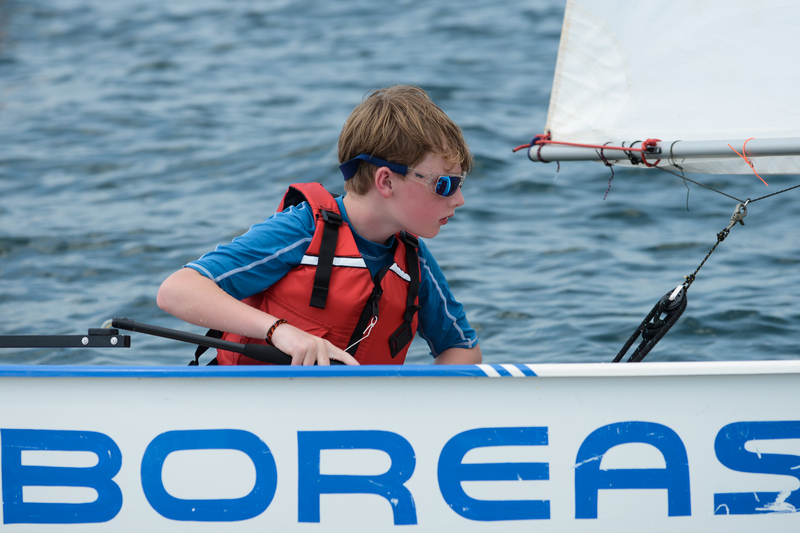 Many of our Intermediates and all of our Advanced Junior Training students sail Lasers in class for several years, giving them excellent boat handling skills and competitive experience to bring to fleet races and regattas by the time they are ready to travel. The club owns ten sets of 4.7 sails and rigs for sail training - these sails are for lighter-weight sailors or for less-experienced sailors on stronger wind days. The Juniors own a quadruple-deck Laser trailer, available for their use when attending out-of-town regattas. 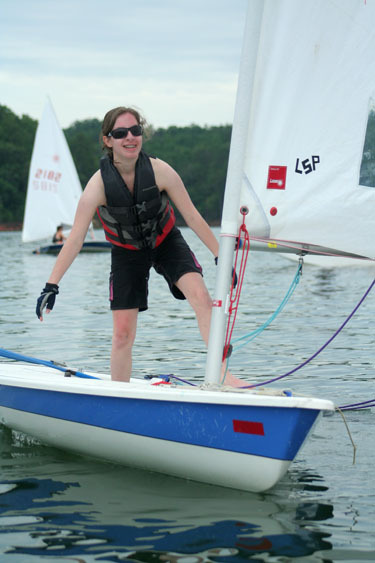 After leaving our program, our top junior Laser sailors often continue sailing competitively in college. Any Junior whose parent or grandparent is a member of the Club is eligible to compete. Juniors are eligible up to and including the year they either reach their eighteenth birthday or graduate from high school, whichever is later.